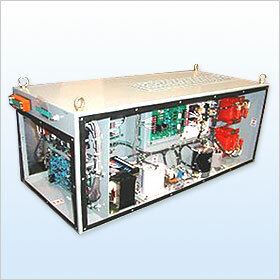 About the field of the power electronics making remarkable progress in recent years, it is manufacturing static form of railway rolling stock and other auxiliary power units, incorporating the latest technologies, industrial power converters, inverters, and black smoke removal equipment. We will provide the devices, which consider the resistance vibrations, the resistance vibrations and light weight reductions. The photograph uses the high frequency wave DC/DC converter of input and output insulation type.